Square sink(s) available with pre-drilled Single-Hole faucet mounts. Additional holes may be drilled by customer on site. Faucet(s) not included. Metal exterior hardware with brushed chrome finish. Two (2) functional doors. One (1) functional drawer. Plenty of storage space. Variations in the shading and grain of our natural stone products enhance the individuality of your vanity and ensure that it will be truly unique. Plenty of counter space. 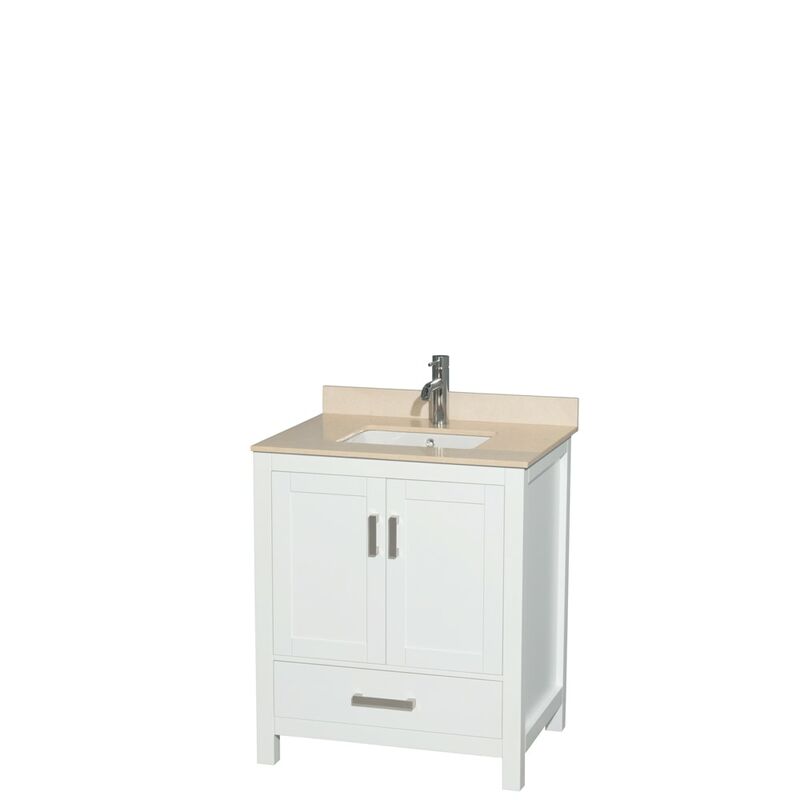 Dimensions - Vanity: 30" x 22" x 35.25"